The Proven Package | Walters Gardens, Inc.
We strongly believe that Proven Winners® branded containers are essential to the success of the brand, ensuring better brand recognition and sell-through for our customers. 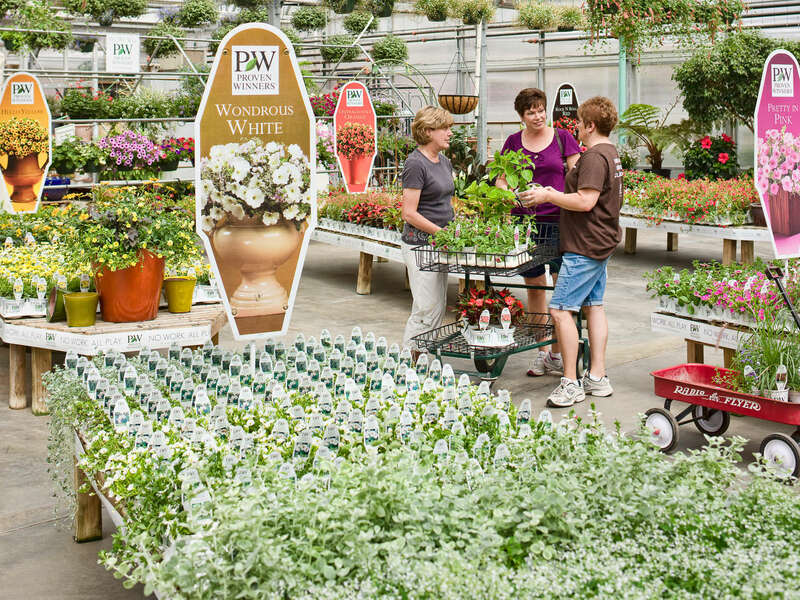 Therefore, Proven Winners® branded containers are required for all Proven Winners® Perennials. Six sizes of containers are available for Proven Winners Perennials. For your convenience, the recommended container size is listed with each Proven Winners variety in this catalog and online. You may purchase any size container you’d like for your perennials. If you don’t specify a container size when you place your order, we’ll send the recommended size. One container is shipped for every one Proven Winners® Perennial. For example, 20 containers will be included for each tray of 20 plugs. Containers are stocked and shipped from Walters Gardens, Inc. with or just in advance of your plant order. This year we are able to list pricing in our catalog and you can see it in the table below. You may obtain our current branded container pricing and volume discounts from the login area of our website or by contacting your sales representative, broker, or Walters Gardens, Inc. directly. Due to the unpredictable nature of plastic prices, we cannot guarantee container prices will not change throughout the year. However, container prices are locked in when you place your order. Trade 1-GL Co-Ex Container (PF-310S) 6" diameter x 6.5" height 176.33 cu. in. 7.5" diameter x 7.125" height 232.1 cu. in. 8.875" diameter x 9.375" height 466.6 cu. in. 10.5" diameter x 9.375" height 696.4 cu. in. 13.75" diameter x 10" height 1484.9 cu. in. *Volume discounts for Proven Winners® Containers can be viewed by request or by logging into the User Portal.